Attractive greenish color with golden reflections. Complex and concentrated aromas revealing citric notes and tropical fruits such as pineapple, mango, apple and white peach – combined with vanilla notes from the aging in French oak barrels. Elegant mouthfeel, with good acidity and mineral notes. Refreshing and well-structured, with a long and pleasant finish. 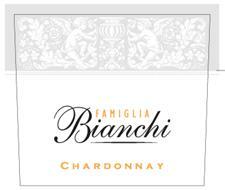 Valentin Bianchi’s Chardonnay grapes come from two vineyards with different characteristics. Finca Dona Elsa, located in Rama Caida district, has a loamy/sandy soil composition which confers mineral notes and freshness to the wine. The soil of Las Paredes Estate, which is situated in the San Rafael DOC of Mendoza at 730 to 790 meters above sea level, is sandy calcareous of alluvial origins. The grapes were hand-picked and whole-cluster pressed. The first half of fermentation took place in stainless steel tanks. Then, the wine is moved to barrels, with 25-percent undergoing malolactic fermentation. The stainless steel part of the fermentation helps preserve the fruit character, while the move to barrels (for 50% of the wine) achieves the more integrated oak character that is found in barrel fermentation. The wine undergoes eight months of sur lies aging in a combination of 33% new, 33% one- and 33% two- year-old French oak. The wine then remains in bottle for an additional 4 months. This wine should be served slightly chilled, with white meats, sea food and pasta in cream sauce.